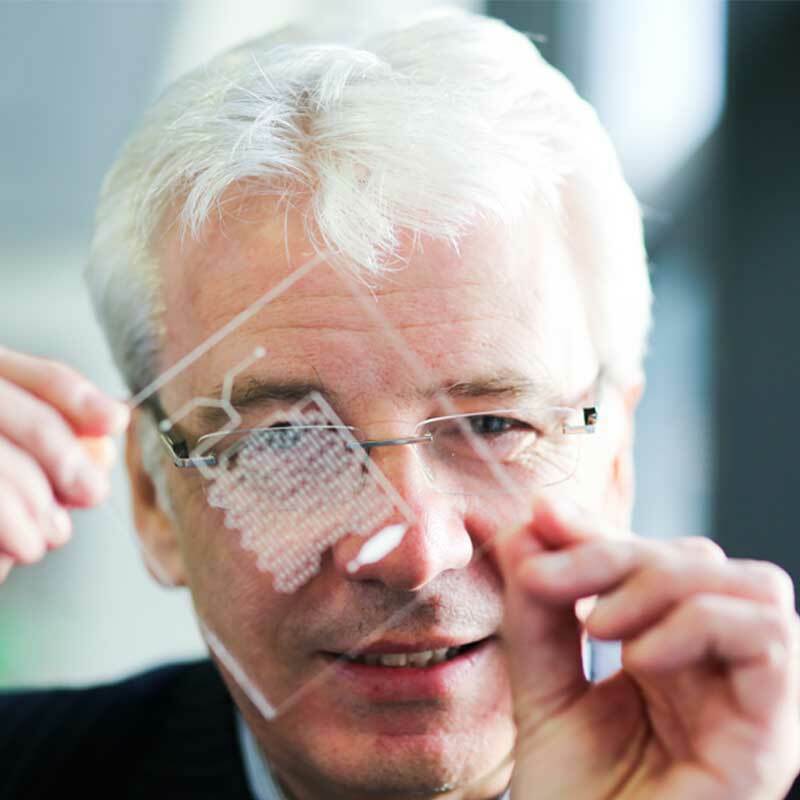 Ulster University will be showcasing its world-class research and innovation in healthcare and technology at the GREAT Festival of Innovation. Medical devices derived from our research are making positive impacts on healthcare outcomes worldwide. Demonstrations at the Festival will include wearable technology which measures and translates brainwaves into control signals that allow people to communicate and interact without moving; the first and only commercially available genetic testing system for corneal health; and world class algorithms for the detection of a range of cardiac arrhythmias from wireless sensors on the body. Our world-class research capability in computing and intelligent systems is set to revolutionise how people in a minimally conscious or vegetative state can communicate and interact without moving. It is estimated there are over 300 million people worldwide in a minimally conscious or vegetative state. 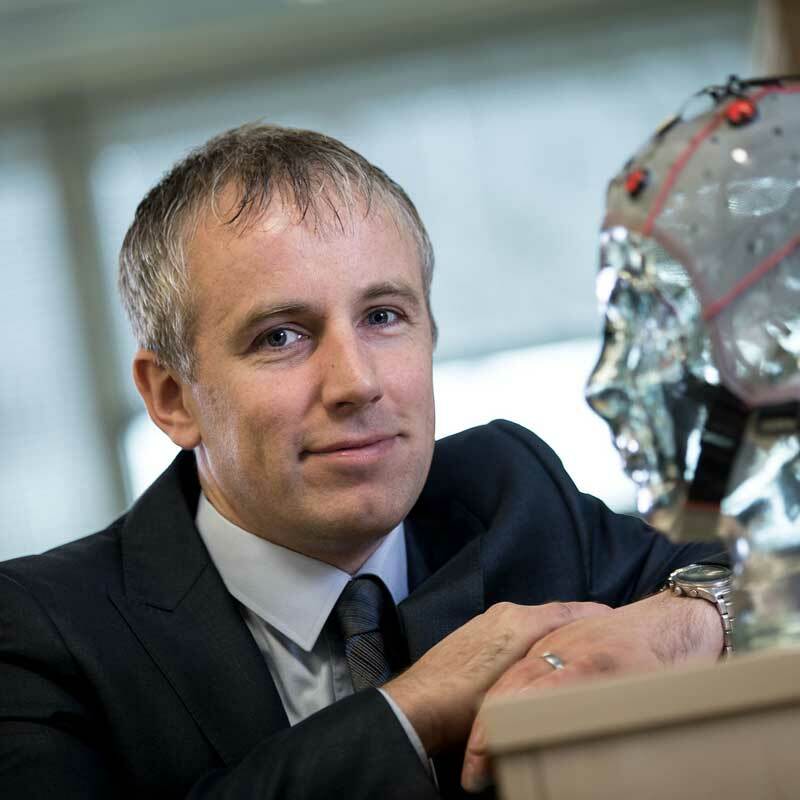 NeuroCONCISE, an Ulster University spin-out company, has developed wearable technology which measures and translates brainwaves into control signals that allow such people to communicate and interact without moving. Ulster’s leading-edge ophthalmology research is pioneering personalised medicine for eye disease. We will be showcasing the first and only commercially available genetic testing system for corneal health. The symptoms of Corneal Dystrophy, which can include vision loss and eye pain, can start as early as the first decade of life or may not show up until the late 50s or 60s, and can be mild, moderate or severe. This simple DNA test involves a straighforward cheek swab that takes under 30 seconds to complete. Sample collection is quick, painless, reliable and secure – proven to be 100% sensitive and 100% specific in clinical trials – and is currently available in over 50 countries worldwide through Avellino Labs. Partner diagnostics in the form of state-of-the-art CRISPR Cas9 gene editing is currently been developed in collaboration with our researchers. Working in collaboration with Ulster University’s Nanotechnology and Integrated Bioengineering Centre (NIBEC) – an internationally recognised world-class research facility - Intelesens, originally founded as a spin out of Ulster University, specialises in the development of proprietary world class algorithms for the detection of a range of cardiac arrhythmias from wireless sensors on the body. Ulster will be featuring this technology at the GREAT Festival and how it is destined to make huge strides towards providing cost-effective tools to improve the delivery of cardiovascular care globally.